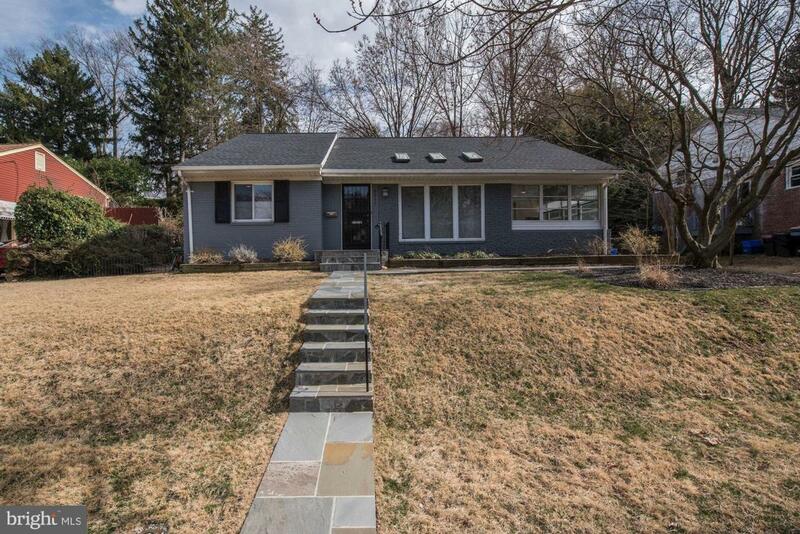 Stunning 4BR/2.5BA split-level single-family home with impeccable modern renovations in Bethesda. This home will welcome the minute you step onto the new bluestone walkways and enter the freshly painted brick space. The recent contemporary renovations will wow you with exquisite granite, tile, fixtures, cabinetry, refinished hardwood flooring, and bright open spaces throughout the home. The spacious gourmet kitchen and outdoor patio spaces will surely be favorite spots for entertaining. The expansive master suite will provide the respite needed after a long day in the renovated bath featuring a rain fixture, floor-to-ceiling tile, and frameless glass shower. The magnificent bedrooms, closet space, office, Jack and Jill bathroom, den, and additional lower level bedroom round out this must-see home.